I always begin with baby spinach or kale or sometimes both. Stonyfield yogurt and whatever fruit I may have on hand. I might add oats or nut butters too. Sometimes I freeze yogurt in ice cube trays and use them in my smoothie too. and don't want it to go to waste. I'm usually the only one drinking smoothies around here, so a small blender is all I need. 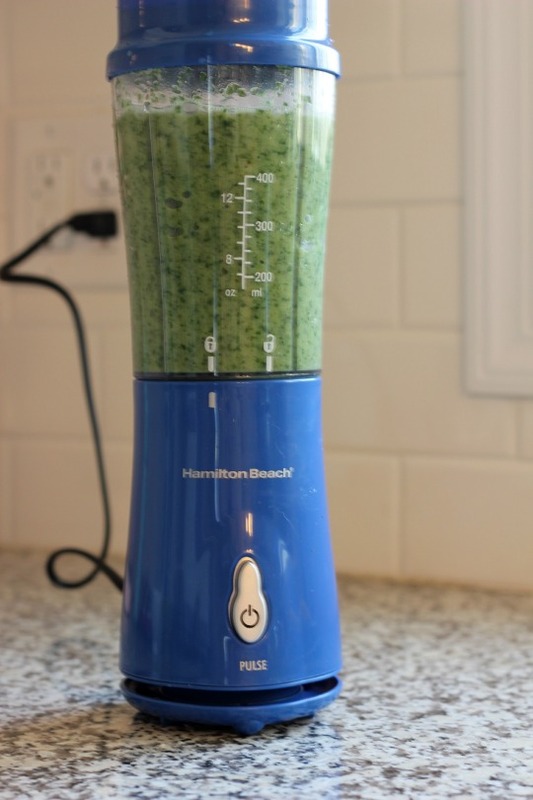 The Hamilton Beach Single Serve Blender is perfect for making a smoothie for one. while traveling. It's dishwasher safe too! You don't even need a cup, just drink the smoothie right out of the blender! blenders for yourself! Just check out the entry instructions below. Today I had a few pears on the counter and thus a Spinach Pear Green Smoothie was created. Congrats to Linda Ruamthong for winning the blender! Just leave an additional comment below letting me know you follow. Deadline to enter: Friday, April 3, 2015 at 11:59pm EST. Winner: The winner will be notified via email; if the winner does not respond within 48 hours, another winner will be selected. 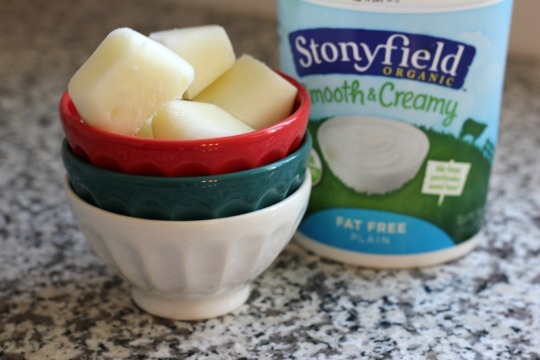 Disclaimer: I have an ongoing relationship with Stonyfield as a member of the Clean Plate Club. I receive product, coupons and compensation for posts featuring their products. As always, all opinions are my own. I like my chocolate, hemp protein and avocado smoothie. I like my smoothies savory, so I'll add hot pepper or Tabasco sauce or garlic, along with the usual veggie suspects (spinach, onion, tomato, kale, avocado, whatever.) It ends up more on the gazpacho end of the spectrum. Classic strawberry and banana. Can't go wrong. I love kale mango smoothies! 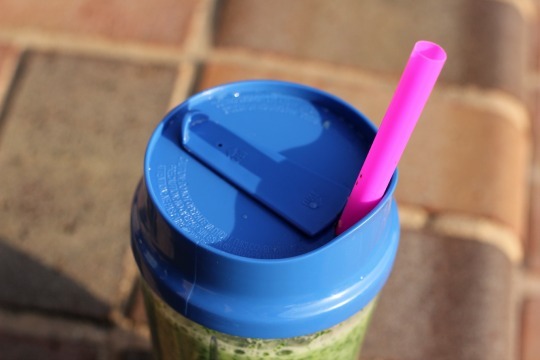 I love making green smoothies with spinach and coconut milk! Oh ...and I already follow you on instagram and facebook....love your recipes and your blog!!!!!!!! I like apple, orange, pineapple and banana with some spinach! Would love this pretty blender to make one with!!!! My favorite is frozen blueberries, chia seeds, protein and a touch of brown sugar. I've recently discovered dates so they be substituting for the sugar soon! I like strawberry, blueberry, raspberry and banana. Thanks for the giveaway opportunity! I love anything raspberry! Also I use honey if I need to add sweetness. Thanks much! I am a sucker for any smoothie but especially green smoothies! I love smoothies with mango, banana and blueberries and greek yogurt. I like when I use a frozen banana, strawberries, blueberries, strawberry greek yogurt, a little almond milk and enjoy. I like banana, pineapple and mango smoothies. Blueberry smoothies with chocolate protein powder. I'm one of your instagram followers @rusthawk1. peach-raspberry with chia seeds :) yum! I also follow you on Instagram ...oh and that peach-raspberry was my comment...forgot to leave my name!! 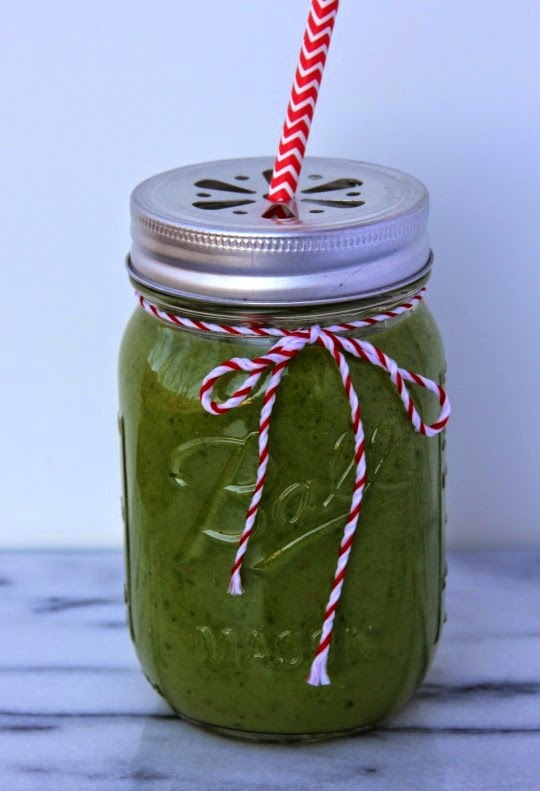 My favorite smoothie recipe is a remake of Wegman's Green Glory. It is super healthy and delicious. It has spinach, pineapple, apples, celery, and wheatgrass.